What Is Streets Alive! ? Streets Alive! is an outdoor movement festival celebrated in cities across America and the world that cordons off a section of a city to let people literally play in the streets. Partnership for a Healthy Lincoln brought the Streets Alive! concept to Lincoln starting in 2010 as an annual event. Streets Alive! is a FREE community event that promotes active living and healthy nutrition in a fun and interactive way. The Streets Alive! Festival is a mobile festival that moves to a new neighborhood every two years. Streets Alive! welcomes thousands of visitors from all over the city each year. The nearly 2 mile traffic free festival route includes parks, walking and biking trails, community gardens, and areas of neighborhood interest. To leave a further impact on the neighborhoods that host, we collaborate with the host neighborhood residents, schools, businesses, faith communities and organizations to identify a community project or program to implement in coordination with Streets Alive! (See the Belmont2017-2018 neighborhood improvement project). If you are interested in being a volunteer at Streets Alive!, we'd love to have you. Streets Alive! encourages people to get off the couch, go outdoors and move up and down a stretch of city blocked off from traffic. Streets Alive! is a child, dog, and wheelchair friendly event. Visitors can bike, skate, walk, stroll, wheel (any kind of human powered traffic), or even dance their way down a route filled with exhibitors and entertainers. Learn About the History of Streets Alive! Festivals. Streets Alive! 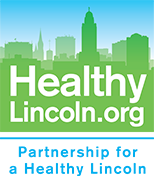 provides an opportunity for Lincolnites of all ages, backgrounds, and abilities to access free and useful information. Lincoln Streets Alive! festivals have included 100’s of diverse exhibitors that provide a wide variety health, wellness, fitness, support, care, and other information in an interactive and engaging way that has included games, contests, and giveaways. You won't need to play games on your smart phone to be amused at Streets Alive! There’s plenty of variety and diversity of great entertainment. Streets Alive! performances have included music, dance, art, magic, theatre, join-in fitness classes and sports demonstrations, and more throughout the festival – something for everyone! The Streets Alive! festival route will be a part of the LiveWell Challenge! Participants can walk, bike, run, or skate their way through the route as a LiveWell Challenge event. Sponsored by the Nebraska Sports Council, the challenge is an event-centric wellness program that tracks and rewards participation in locally owned and organized events.